A program that will show you where to find these off market deals. It teaches you everything you need to know to work in this lucrative niche. You can dominate this field if you learn the steps you need to take. ARE YOU LOOKING FOR A WAY TO FIND GREAT DEALS AND A MARKET VIRTUALLY FREE OF COMPETITION? Then you’re in the right place. Probates have always been my #1 source of leads. The "Best of the Best" in the "Probate Investing Realm "
Everything about working in the niche of probates. How to become the 'go-to expert' in your area. Terminology and how the probate process works. How to find leads and market to their heirs. Bonus: How to market to any niche! There are over 3300 counties in the US, and each one of them has a different procedure for getting probate leads. I have some tips for you on how (and where) you can find them. You need to know the language and terminology used in the probate process. Once you do, you will show up as “the expert” every time and quickly gain the trust of the seller. Marketing is how you get leads (then deals). I’m going to give you all the marketing materials you’ll need and teach you how to market to probates the right way. Learn how to talk to sellers and change their expectations, how to build rapport easily with sellers so more offers to get accepted, creating follow-up systems, wholesaling probates and so much more! Websites: Learn how use technology effectively for marketing, why you must have a website, and where to get one. You’ll also get some tips you can implement on your website. You’re going to learn how to do direct mail the RIGHT way. What’s the real bonus here? You can use this module to market to any group of motivated sellers. I’ll give you some resources too for outsourcing this process. You will also get a complete series of letters to send to these folks in probate. These are the same letters I have used in my business for a decade or more. These letters can be tweaked for agents who want to market to the same group of people (think listings). Interested in outsourcing some of the work? I’ll give you a list of resources I have used in the past. I’ll show you how to create a simple but effective marketing plan for the niche of probates. Remember that these are off-market deals, so direct mail is how you reach out to these folks. Not only will you have all the information and tools you need for success, you will get 1 full year of ongoing support after the course. That’s right. One full year. Let me tell you, my friend, that is a game changer! How many times have you taken a course, then when it’s over you feel like you’ve just been dropped like a hot potato? You still have a million questions but there’s no way to get them answered. That’s not going to happen to you after you’ve finished Probate Investing Simplified. Just think of how powerful it will be for you and your business to have ongoing support with me for a full year after you finish the course modules. We will have weekly Q&A sessions that will be recorded (just in case you can’t be on the live call). You’ll also have access to my private Facebook group FOREVER. This group is just for folks that have taken the Probate Investing Simplified course. I will pop in regularly to answer your questions. And… as a bonus, you will have the opportunity to network with the other folks in the group and brainstorm strategies for growing your business! And you’ll have me to hold you accountable for reaching your goals <—Genius! JUST WHEN YOU THOUGHT IT COULDN’T GET ANY BETTER.. When you enroll TODAY, you will have FREE ACCESS to Chicago Deal Vault for the entire 6 weeks of the course which is an awesome bonus. You will have the course – Probate Investing Simplified and access to all the probate leads in Illinois included in that price. You have to admit, it just doesn’t get any better than that. Don’t miss this opportunity to get in and get all these bonuses! Hi There, I’m Sharon Vornholt! Welcome to Probate Investing Simplified! I began investing in 1998, and I have focused on the niche of probates for more than a decade. I’m here to show you through my own experience how to build a lucrative probate investing business. The great thing about probates is they are off-market deals with much less competition than most other niches in real estate. Whether you are a wholesaler, a rehabber or a buy and hold landlord, probates are a great source of leads. They are also a great source of listings for Realtors. 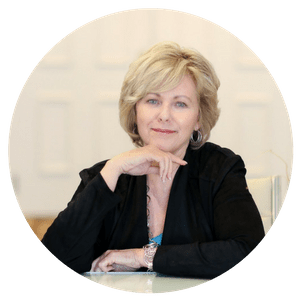 Sharon Vornholt is a successful Real Estate Investor, educator and writer. (She has been a successful Real Estate Investor in the Louisville, Kentucky area since the late 1990’s). She is passionate about Real Estate Investing and helping others achieve their dreams and goals through successful Real Estate Investing. This is especially true in the “Probate Investing Realm” where she has been successfully investing in “Probate Investment Real Estate” in the Louisville, Kentucky Area for the past ten (10) plus years. Now, we are all privileged because Sharon has taken all of her years of “Real Estate Investing” and “Probate Investing Knowledge” and “Synthesized that Knowledge and Expertise” into a “New System” that she has “Just Created” entitled, “Probate Investing Simplified”. Whether you live and invest in Real Estate, or plan to, in New York City, New York, Chicago, Illinois, or Los Angeles, California, or in a small Real Estate Market in the Midwest, or South, and are interested in, one (1) of the most lucrative niche’s in Real Estate Investing, then “Sharon Vornholt’s” “Probate Investing Simplified System” is the “Right Probate Investing System” at the “Right Time” for you. Trust me, in my thirty (30) plus years of Buying, Selling, and Investing in Real Estate, I have reviewed and invested-in just about every Real Estate Book, Cassette Tape, CD, DVD and On-Line System, regarding Real Estate Investing, out there. Sharon Vornholt’s “Probate Investing Simplified System” is the “Best of the Best” especially in the “Probate Investing Realm”. Whether you are a “Seasoned Veteran” or a “Newcomer”, that knows little or nothing about Real Estate Investing, Sharon’s “Probate Investing Simplified System” is the “Best Investment for You”. Here’s Why!!! Sharon’s “Probate Investing Simplified System”, provides you everything that you need to know to be a “Successful Probate Investor” in a “Practical” “Step-By-Step Manner” that can be “Easily Understood” and “Utilized” in “Your” “Real Estate Market”, and you can learn in an “Effective” and “User-Friendly” “Audio and Video Format”, in the comfort of your home or office. With Sharon’s “Probate Investing Simplified System” you will have a “Complete Understanding” and “Road-Map” of the “Probate Investing Process” “A” to “Z” and how to “Effectively” and “Easily Apply” what you learn from Sharon’s “Probate Investing Simplified System” to “Probate Investing” in your Market or State. Sharon will provide you the “Tips and Tricks” for getting “Probate Leads” right in your own backyard and how and where you can find them. To achieve success in the “Probate Investing Process” you must learn the “Lingo” and “Terminology”. Sharon teaches you how to present yourself as a “Probate Specialist” and make that learning-process both fun and enjoyable at the same time. The key to any “Successful Business” is finding a “Steady-Stream” of customers to invest in your product or service. In Sharon’s “Probate Investing Simplified System”, she provides you a Marketing System” of “How to Get Leads and Deals”, the “Actual Letters” that she uses in her own Real Estate Probate Business, how to get such “Probate Letters” “Done for you (“Printed and Processed”), at a Reasonable Price”, and how to say the “Right Things” to “Probate Sellers” in the “Right Way”. Sharon also teaches you the “Secret Insider Tips” for working with “Probate Sellers” that you will not learn from any other “Probate Investment System” “Out There”!!! Further, she teaches you “How to Connect and Emphasize” with those “Probate Sellers” that have just lost a Loved-One, how to create “Realistic Expectations” with “Probate Sellers” about the condition and valuation of their inherited-properties, and “Walk-Away” from your meeting with such “Probate Sellers” with a “Signed” “Real Estate Purchase Agreement” for a property that you can add to “Your Own Real Estate Rental Portfolio” or “Assign” or “Re-Sell” (“Wholesale”), to another Real Estate Investor for a nice “Assignment Fee” or “Profit”. Plus, Sharon teaches you how to use all of the “Tools of Technology” like “Websites”, plus she has included “Bonus Videos” for “Direct Mail Resources”, “Outsourcing”, and a “Realistic Probate Marketing Plan” “That’s Simple”, “Realistic”, and “Easy-to-Follow”. And Sharon “Isn’t Done Yet”!!! Included in her “Probate Investing Simplified System” she also provides weekly “Q & A” sessions” during which she interacts with each one of her students and answers every question you could possibly have about “Probate Investing” as it applies to your own “Real Estate Market” and she stays with you until all of your questions, concerns, and challenges are answered to your “Complete Satisfaction”. Sharon Vornholt’s “Probate Investing Simplified System” is truly the “Best Probate Investing System” on the “Market Today”. Her “Probate Investing Simplified System” “Way Under-Promises” and “Way Over-Delivers”. I would highly recommend, with a “Five-Star (*****) Rating, that you invest in “Sharon Vornholt’s “Probate Investing Simplified System” “Today”!!!!!! It will be one (1) of the “Best Investments” you have ever made!!!! My goal is to continue to grow my business and in order for that to happen, we need to have access to properties that others do not. The only way to do that is by developing a concise, consistent marketing campaign that includes letters, business cards, a logo and a website that doesn’t require an advanced degree to maintain and update. While I had the ability to develop those items, the schedule and consistency were a challenge. There is also a discomfort with incorporating new steps into your business that push you outside your comfort zone. When it comes to real estate investing it can be a very exciting as well as scary industry. Exciting in that it can provide you with personal and financial freedom, yet scary in the amount of information needed to know to be successful. Sharon has created one of the best programs for real estate investors. Her VIP program is customized to each student’s situation and goals. We discussed topics ranging from direct mail strategies and gathering probate leads, to the best website and VA for running a company efficiently. Probate Investing Simplified allowed me to connect the dots between my previous Court experience and my current Real Estate career. Sharon Vornholt’s training provides a detailed explanation of the process and also provides the resources required for implementation. I cannot thank you enough for putting together your Probate Investing Simplified course. While I have done a few deals, I am still a relative novice and still work FT. I live in a pretty competitive market (as do many), so I decided to invest in the course as a way to add an additional lead source. While I was aware of the probate niche, there seemed to be quite a bit of misinformation in the market regarding how to do a probate deal, and the lead sources I could find were quite expensive. This course was exactly what I needed! The material was laid out thoughtfully and logically. All of the information was easily understood and the fact that you offered Q&A sessions after each module was invaluable. The course gets rid of the myths and should provide the proper tools for anyone who is willing to do the necessary work. As an aside, I couldn’t attend many of the Q&A sessions due to work but love that the resource was available and the fact that they were recorded. I am privileged to have participated in Sharon Vornholt’s “Probate Investing Course”. It gave me a shot in the arm as I was expanding my knowledge into a real estate sector in which I had limited to no experience. How does the course structure work? This course is delivered via 6 Modules over 6 Weeks. Each week you will receive access to a new module, which you can learn at your own pace! *All Bonuses including the Direct Mail Bonus and Direct Mail Resources will be available the final week of the course (Week 6). What is the benefit of doing it this way? You will have a clear understanding of the probate process, and you’ll have your foundation in place before you spend any money on direct mail campaigns. This course is set up so that one module is released every week for 6 weeks (which includes the direct mail bonus module and the other bonuses). There are 6 core modules with multiple lessons in each module PLUS the Bonus Direct Mail Module. All of the bonuses including the bonus Direct Mail Module, the entire series of probate letters and forms, and other bonuses will be released along with module #6 (in week six). This will ensure that you have time to complete each lesson before moving on, I want you to have a clear understanding of the process before starting direct mail campaigns. But, if you decide this course isn’t for you, in order to get a refund you must cancel after the 2nd module/ before the 3rd module is released. So either way, you’ll get 1/3 of the course, and we’ll still be friends. BECOME A PROBATE MASTER TODAY! 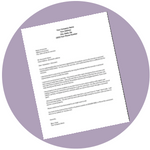 Get on the list to download your FREE letter and receive the latest news from Sharon!